This year our team and Maya middle school students from the project Yucatec Cenotes Heritage and Conservation based in Yucatan, Mexico were extremely honored to work with EarthEcho. With generous donations of water test kits and helpful educational resources, we were able to test water quality in cenotes from nine Maya communities. Cenotes, often described as freshwater sinkholes, are the only major source of naturally occurring fresh water in Yucatan. They have always been important to Maya communities, but have recently been threatened due to increasing pollution and resultant contamination. Maya students are now taking the lead in conserving these precious resources in their communities. By taking part in EarthEcho's annual water challenge and uploading cenote water test results to EarthEcho's international platform, our project’s middle school students have taken important steps in bringing attention to the quality of their communities' water. 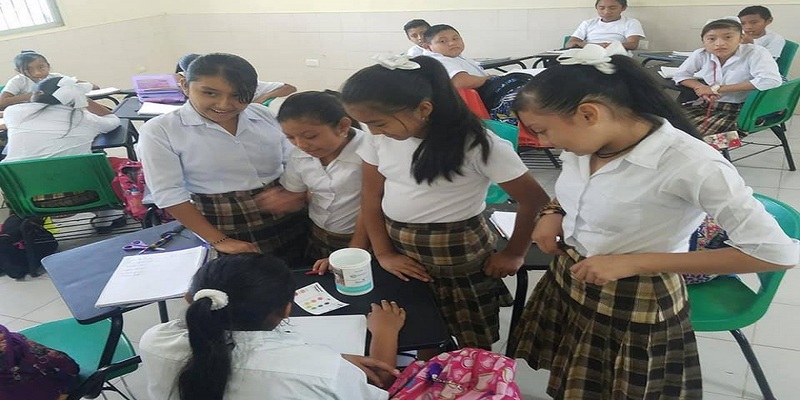 EarthEcho's donation of test kits to Yucatec middle school classrooms will also be used in years to come in the new activities and classroom curriculum that is now being developed. Certainly, the EarthEcho team's generosity and energy for change has made a tremendous impact on Maya youth and on our project team as a whole. ‍Editor's Note: Dr. Khristin Landry-Montes is a Project Facilitator and Affiliated Researcher with InHerit (Indigenous Heritage Passed to Present). EarthEcho is honored to partner with InHerit to support their work to help communities and young people connect to and protect their local water resources.